A beautiful sunny day today, but cold. 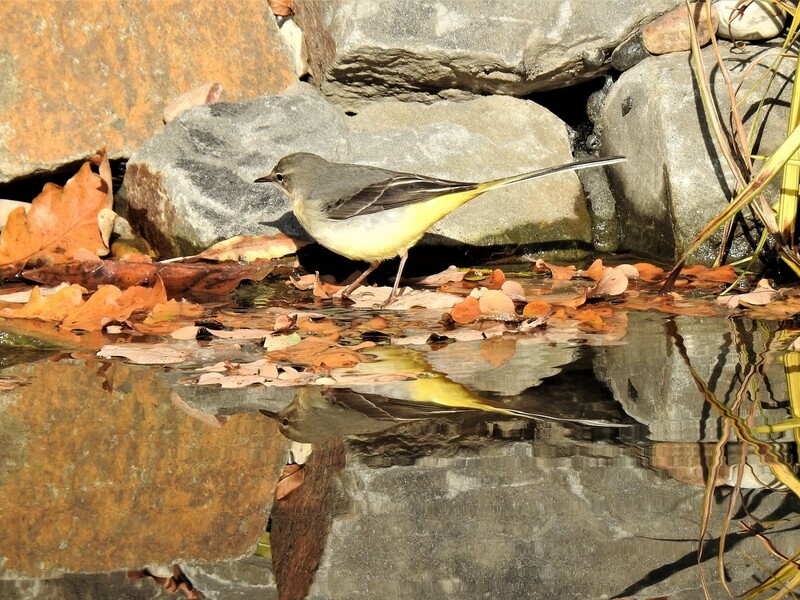 It ws good to see the grey wagtail enjoying the pond, I haven't seen him for a while. @jesika2 Yes Jesika it is. Isn't that amazing. The pond isn't even finished yet - the waterfall isn't working yet. The grey wagtail will love it even more when it is. What a lovely visitor to your pond and a beautiful capture ! I can see everyone is loving your new pond! Win win all round! Your new pond is reaping gorgeous rewards. This is delightful; great reflection and very sharp image. It's almost like a painting. Fav.